Summer is in full swing, and that means less time spent outside and plenty of excuses to be curled up on the couch in front of the TV. Streaming service Netflix is the ultimate go-to for a binge-worthy unwind, and we’ve cherry-picked the best movies, TV shows and documentaries to check out in July. Based on the best-selling novel Sacred Games by Vikram Chandra and set in Mumbai, this epic series explores the corrupt underworld lurking beneath India’s economic renaissance. The plot focuses on police officer Sartaj Singh, who is given an anonymous tip to capture a powerful criminal. As the stakes mount, it becomes clear that the game is part of a much larger scenario, one that expands beyond his city. Three suburban mums decide to take their dead-end lives into their own hands by hijacking a local supermarket with toy guns – of course things don’t end up going quite to plan. Christina Hendricks (Mad Men) leads a fantastic cast alongside Mae Whitman (Arrested Development) and Retta (Parks and Recreation) in this new series that combines zany comedy with a whole lot of heart. David Spade (Joe Dirt) and Nat Faxton (The Way Way Back) play diametrically opposed dads who’s recently graduated sons place a bet on who would win in a fight. Father of the Year looks to be a coming-of-age story wrapped in a ridiculous premise that, if the trailer is anything to go by, should have more than a few laughs to keep you going. A mysterious apocalypse separates a husband and his pregnant wife across opposites sides of the US, as he travels across a chaotic country to find her with the help of this estranged father-in-law. Pretty standard post-apocalyptic fare so far, but with Academy Award-winning Forest Whitaker as said father-in-law and some impressive looking action sequences from the trailer, we’re expecting this Netflix Original film to be quite a ride. 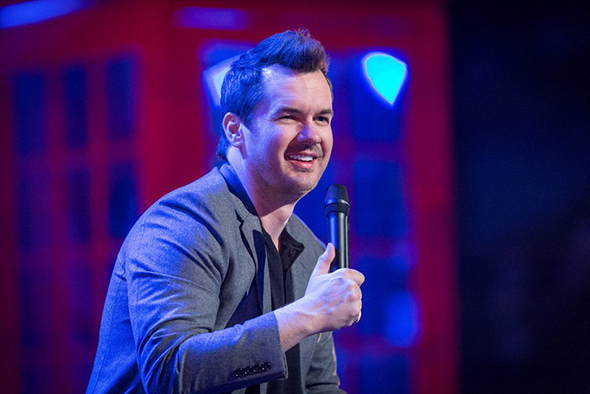 If you like a little controversy with your comedy then the gleefully irreverent Jim Jefferies should be your go-to guy. Famous for his takedown of American gun culture that went viral on the Internet, his latest Netflix comedy special riffs on celebrity culture, political hypocrisy and bodily marvels. A behind-the-scenes look at one of the most successful clubs in Italian footballing history, First Team: Juventus returns for a stellar second half of the season, as the mighty Juve hope to hold off stiff challenges to winning another league title while moving forward in the Champions League.